The Openheid State. From closed to open society in Cape Town. It is hard to conceive of a country where contemporary city planning has had a more negative impact on society than in South Africa. In this country, the ‘makeable’ world and social engineering were so ‘successful’ thanks to the apartheid regime that the potential of city planning to shape society has been proven beyond a shadow of a doubt. 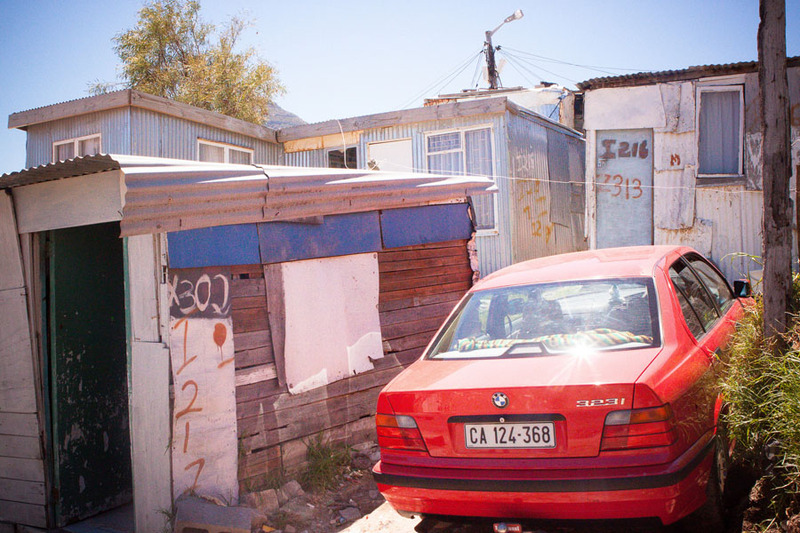 In Cape Town, apartheid is set in stone and poured in concrete. The principles of city planning that shaped the open society in Western Europe had a huge impact all over the world in the twentieth century. The ramifications are reflected in shifting constellations in every country, under every political regime, in every mode of urban architecture. However, there is no other country where these principles have been expressed so perversely. Rather than building an open society, they have been used in the black townships to impose separation and segregation. With the legacy of apartheid etched deep into every neighbourhood, particularly in the sharp separation between the neighbourhoods, the question in Cape Town today is: how can city planning contribute to a sea change in this reality that it first helped to create? How can the infinite sprawl of the segregated city be unified, opened up, woven into a coherent tapestry? Can the closed neighbourhoods be cracked open, thus ‘unmaking’ the spatial consequences of apartheid? The Density Syndicate, a joint research-by-design project of the African Centre for Cities, the City of Cape Town and the International New Town Institute, contributes knowledge, designs and practical solutions in pursuit of this goal. After its introduction in 1945 by Karl Popper, the significance of the concept of an ‘open society’ took on a life of its own. While Popper viewed social engineering as a pernicious evil, the open society in Western Europe was in fact a product of such engineering: it was the model used to build the social-democratic welfare state after World War II. In large-scale, top-down operations, the governments of Europe erected countless new neighbourhoods, building entire new towns in some cases. Those towns share many characteristics: an open-plan design with modernist social housing in boroughs, neighbourhoods, and city districts structured according to a concept of local communities. The underlying aim was to create an open society, based on the egalitarian ideals of social democracy, with opportunities for personal development, emancipation and social progress for all. These neighbourhoods offered a sense of stability to each individual family, but also divided the city into clearly structured units, each with its own public facilities: shops, neighbourhood centre, churches, schools and sports fields. Each neighbourhood was clearly separate from the next, delineated by a strip of greenery or by infrastructure. The internal grid of roads was efficiently linked to through-roads according to the principles of modern city planning and traffic management in order to guarantee the accessibility of the neighbourhoods. All these elements can also be identified in the formal structures in the urban fabric of Cape Town, but with a completely different political and societal significance. Serving the apartheid system, the city planners designed neighbourhoods that were intended to discourage intermingling and encounters, to separate ethnic groups, to monitor and restrict freedom of movement for the people who lived there, and to promote inequality. Popper warned that large collective systems would inevitably become dangerous and lead to totalitarian systems; he was referring to Nazism and Communism. But it was the apartheid regime that used the ‘progressive’ and ‘democratic’ tools of modern city planning in South Africa to bring about the perfect opposite of the open society. Once the National Party took power in 1948, the declaration of the Group Areas Act in 1950 dictated that white, coloured, Malay, Indian and black (terms that are still used in South Africa) had to be kept separate from each other. Hundreds of thousands of non-whites were forced to relocate to ensure that Cape Town’s inner city population would be exclusively white. Countless new townships were built to rehouse all the non-whites. The city planning structure in the townships follows the Western European model: clearly defined units separated from each other by an infrastructure of highways. They consist of a number of neighbourhoods situated around a central square or sports field, with the neighbourhood facilities lining that central area. The biggest difference between the townships and their Western European counterparts based on the neighbourhood principle is the intention of this formal structure and the way it is expressed. The central public space is not intended to facilitate encounters or be used by the collective; rather, it is designed as a type of panopticon to facilitate oversight and control by the authorities. This is underlined by the nature of the public buildings that line the square, which are occupied by the police station and ID card offices. The way the roads are laid out is also highly significant. The top priority here was not creating connections and providing access, but controlling who went in and out of the neighbourhood. For that reason, there were only two connecting roads that linked to the main road network, making it easy (then and now) to close off an entire neighbourhood in the event of disturbances. The transformation of the neighbourhood principle into an instrument of control had already been ‘invented’ and put into practice in the interbellum, in neighbourhoods based on the Garden City, such as Langa (1927). Although the urban design dates back to 80 years ago and the racist policies that informed it have been banished to the annals of history, the mechanisms implied by the city plan continue to have an impact to this very day. Apartheid or no apartheid, the people living in this neighbourhood are still poor and black. And Langa may be considered the ‘friendly township’ these days, where tourists frequently go on tours of the former black hostels, considered safe enough to be the headquarters of our Density Syndicate workshops, but the same control and repression options are still in effect, facilitated by the city planning structure of the neighbourhood. That became apparent during the second working session of the Density Syndicate in July 2014, when the police shut down the entire neighbourhood during the ‘service delivery protests’ in Langa. The euphemism refers to major rioting and violent demonstrations protesting the delay in providing social housing, the many winter floods that primarily affect the makeshift shacks, and sporadic waste removal from the toilet facilities in Langa. The neighbourhood, like the other townships, is only connected to the main city roads by two access roads. 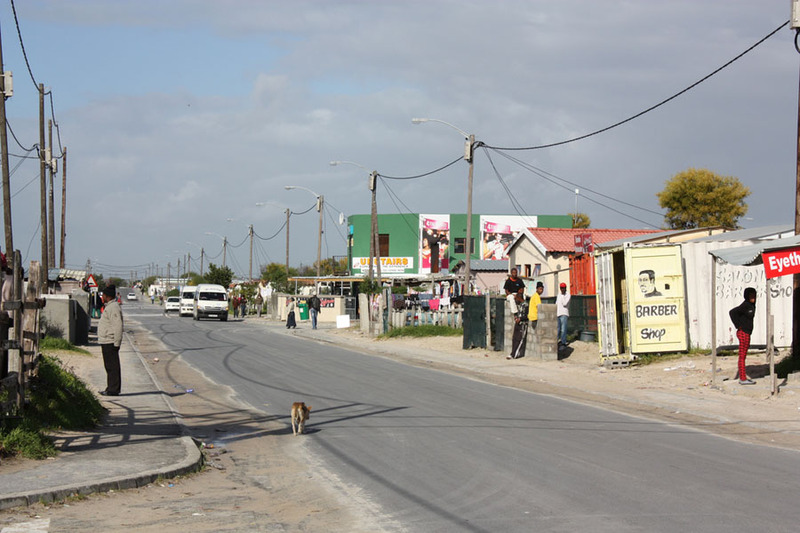 Simply by setting several large concrete blocks on these roads, the police were able to hermetically seal Langa off for three days until the riots had been quelled: no one out, no one in. Even though it has been twenty years since apartheid was officially lifted, Cape Town is still the symbolic capital city of segregation. The city has a huge footprint, consisting of a series of introverted white, coloured and black neighbourhoods, separated by inaccessible and unusable zones. 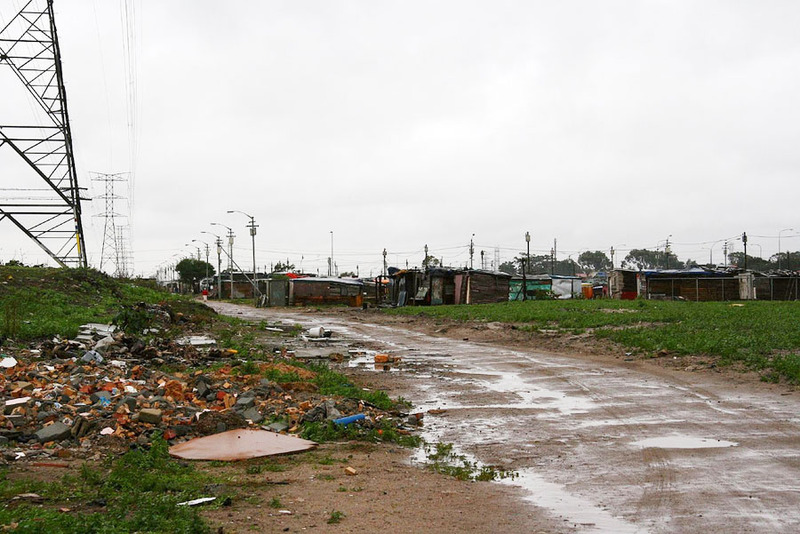 It is a fragmented patchwork of gated communities, poor townships, and even poorer informal settlements. The problems created by the urban sprawl are endless: spatial, economic, ecological and social. 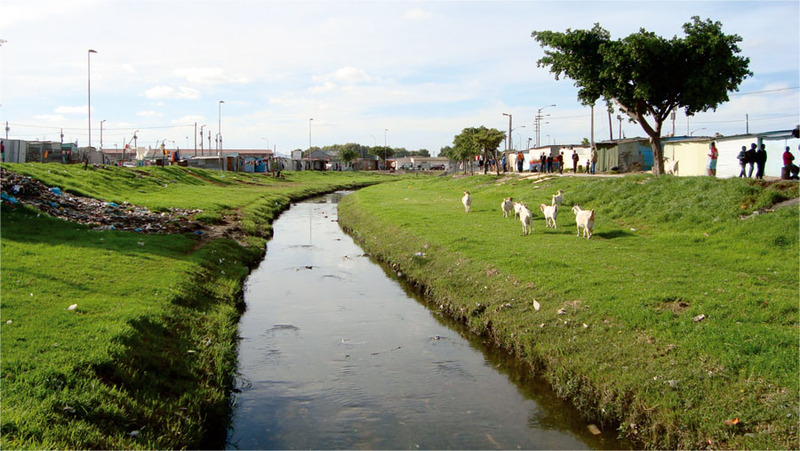 People live far away from their place of employment and waste hours on their daily commute; as a result, jobs are inaccessibly remote for the poorest of the poor living on the Cape Flats. Air pollution from all that traffic is abominable, and segregation leads to constant unrest and sporadic rioting. Unfortunately, the post-apartheid policy of housing the poor by introducing ‘one family, one plot’ politics has aggravated the urban sprawl. The ideal of a single-family dwelling on a single plot of land, which has been used since 1994 to erect millions of tiny homes, is a building style that gobbles up space at an alarming rate. The unintended result is the consolidation of apartheid’s legacy in a landscape of neo-apartheid urbanism. Although the middle-class suburbs have largely been deracialised and are now more mixed, the townships and informal settlements are still mostly monofunctional and racially homogenous. Facing the prospect of significant population growth, with current housing shortages already reaching levels between 200,000 and 400,000 homes, Cape Town can no longer opt for its usual expansion policies, continuing to let the city grow. Although… Plans for a new New Town called Wescape were recently approved by the municipal government, paving the way for a private development that will build a city of 500,000 people in the agricultural region north of Cape Town. The well-trodden path of the tabula rasa urban sprawl is apparently hard to abandon. This clinging to familiar ways is partly because the tradition is solidly grounded in the densely intricate regulatory framework that makes mixed use and higher densities more difficult. Even so, that is precisely what the municipal authorities in Cape Town now envision. Catherine Stone, director of Spatial Planning and Urban Design, emphasises that the concept of Density has priority on the spatial planning agenda in the coming years. This is not solely limited to the customary definition of density used to increase the floor-area ratio, by adding mass and volume to limit the city’s footprint. Cape Town primarily aims to achieve the social and societal effects that are expected to result from increased density: the possibilities offered by mixed use, a mixture of income brackets and ethnic groups, better integration and use of infrastructure on roads, rail lines and stations, the creation of better connections between neighbourhoods and city districts, and literal and figurative bridging of distances. Where the open compositions of residential blocks amidst green spaces were an expression of the concept of the open society in Western Europe, the converse holds true in Cape Town: density and urbanisation embody the ideals of the open society here. It is seen as the ultimate way to unite people, offer opportunities for disadvantaged groups to develop and emancipate, and forge the fragmented city into a coherent whole. But how can this be achieved? Unlike in post-war Western Europe, this transformation cannot be a purely government-led operation. Such grand plans are not done in South Africa, since they are associated with the social engineering that took place during apartheid, accompanied by large-scale authoritarian planning. At the same time, the ANC regime has given rise to certain expectations – assumptions that the government will provide the population with its own, better home. Since those expectations cannot be fulfilled, for all sorts of reasons, a different type of relationship will have to be achieved between citizens and the government, a relationship in which the government does not organise everything from the top down, instead seeking to achieve maximum engagement and self-reliance among its citizens. In his book advocating the open society, Karl Popper emphasised the independence and empowerment of the individual, free choice, and tolerance. Do these qualities exist in sufficient intensity in South Africa, where parts of the population still belong to tribal systems that are closed by definition? Recent riots like the ones that broke out in Langa are vivid reminders that Cape Town has more extreme relations and more intense responses: city planning and housing construction are not innocent concepts here. Urban transformation means walking on eggshells. The increasing segregation which often leads to social unrest is, cynically, often caused by the very thing that Popper predicted would bring solace: the role played by the market. Where Popper argued against collective structures that would inevitably grow into totalitarian states, it has become apparent that the market, now that it has carved out a place for itself worldwide over the past two decades, can also operate as a totalitarian system and that poverty, inequality and segregation are not being suppressed, but are instead growing. The withdrawal of the government from city planning and the entrance of private parties and developers have diminished rather than fostered openness, tolerance and equality in most societies. These trends are most apparent in the new cities that are developed by the market. For that reason, governments all across the globe feel compelled to intervene and take responsibility for social housing construction and inclusiveness. One circumstance specific to Cape Town is the dilemma facing the municipal government: it cannot make big plans, but it does have big ambitions, and there is an urgent need to facilitate real change. For that reason, the city has formulated ‘density’ as a priority and is launching many initiatives that create circumstances favourable to density, primarily investments in public transport and station developments. The establishment of the Density Syndicate, by ACC, the city of Cape Town and INTI (International New Town Institute), should also be viewed as part of this objective. The Density Syndicate is using density as a tool to open up the closed neighbourhoods, thus ‘unmaking’ the spatial vestiges of apartheid. The key to that lies in utilising the leftover spaces in between the neighbourhoods and the interstices, which offer the option of turning the neighbourhoods inside out and transforming their introverted nature. The Syndicate consists of research by design conducted by multidisciplinary teams, comprised of South African and Dutch designers and city planners as well as sociologists, local residents, civil servants, hydrologists and other scientists. The envisaged result is to produce innovative plans suitable for implementation in a number of locations that are, in many respects, prototypical of the segregated Cape Town. These are not master plans, but growth scenarios in which urban development is shaped not only by the municipal government, but also by local residents, entrepreneurs and market parties and collectives of those groups. As such, the project not only generates designs, but also produces fresh ideas for process and implementation. The ambition to break open separated city districts and connect them to each other is best illustrated by the design for Two Rivers Urban Park. The project positions an elongated ‘leftover area’ as a central public space between the adjoining suburbs, townships and informal settlements. The addition of housing blocks transforms the backs of the neighbourhoods that are adjacent to the green space, turning them into fronts instead. 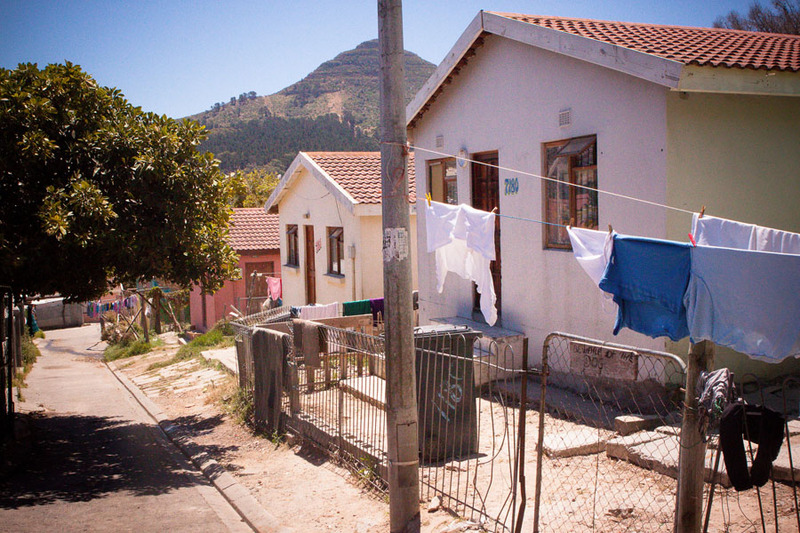 The proposed mix of lower-income and middle-class housing hardly exists anywhere in Cape Town to date, nor is there knowledge available here on how such a mix should be arranged, either financially or in terms of the regulatory framework. The project brings valuable knowledge along from the Netherlands, from the Vinex neighbourhoods of all places; their 70-30% mix is seen as very inspiring in Cape Town. At another location, Maitland, a density strategy is being used to bring about a mix of housing and businesses as well as combining different population groups. The economic axis of Voortrekker Road, wedged in between middle-class suburbs, is also the spot where hundreds of thousands of workers arrive every day, brought in by train from the Cape Flats. Entitled ‘Afrohub’, a model is being designed in which immigrants, workers and suburban residents jointly develop the area, live there and work there. In the third location, an informal settlement, an alternative model for the ‘one family one plot’ policy used so far by the government is being developed in cooperation with community representatives. In Lotus Park, the ideals of the open society, emancipation and personal development are given priority in a model for gradual improvement of the neighbourhood through collective housing construction. By applying housing subsidies in an alternative form (not by household, but by small-scale neighbourhood), the residents are able not only to organise themselves and make use of the expertise and building experience present in the area, but also to improve their own home, expand its size, and continue living in the neighbourhood themselves. 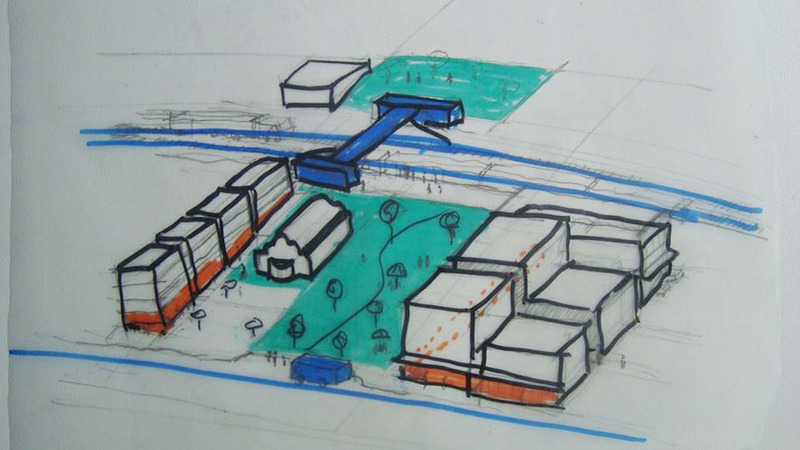 The municipal government expects this project to yield an innovative method that can be used in the informal settlements (which comprise 15% of the settlements in Cape Town), since this approach concentrates not on the house as a single unit, but on a holistic strategy for the community that focuses on the local economy and social relations. The pursuit of an open society is a highly topical and relevant theme in Cape Town. The Density Syndicate introduces multidisciplinary urban design as a method to break open the closed society, with the aim of undoing the spatial consequences of apartheid, which still play a significant role in the uneven operations of the city. 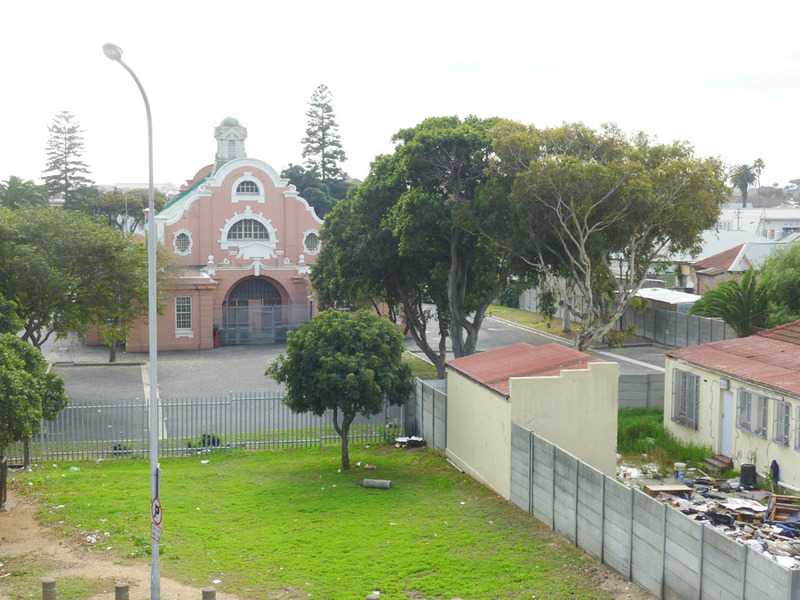 The Syndicate must take into account how historically loaded city planning is in Cape Town. City planning and architecture have played major roles in facilitating the problematic relations between various ethnic groups in the city; can their capacities now be used to contribute to the solution? Looking at the direct influence and importance that city planning has had in the past, today’s city planners and architects can be expected to influence the facilitation of the transformation from a closed to an open society in Cape Town. This lends an unusual and intense urgency to city planning and urban development in this city. Michelle Provoost is INTI Director. Starting 30 October, the initial results of the project will be on display in the historic City Hall in downtown Cape Town as part of the ‘City Desired’ exhibition organised by ACC.